New Zealand is known for both boasting stunning and dramatic landscapes and for being one of nature’s very best playgrounds for thrill seekers and adrenalin junkies. Inspired by these epic activities, we decided to list some extreme sports to get excited about in New Zealand! Indeed, many extreme sports were actually invented in New Zealand – the Kiwi’s certainly know how to have fun! Invented in New Zealand, Bungee jumping is one of those things that people either love or hate, but that many people are drawn to try at least once in their lives. If you’re going to take the leap – literally! – why not do it in its birthplace? There are loads of places all around the country where you can take the jump of faith and plummet to the ground with only a thin cord stopping you from smashing into smithereens! Get kitted out by professionals, take a deep breath, take one last look at the awesome scenery all around you, and then one … two … THREE! It’s bungee time! 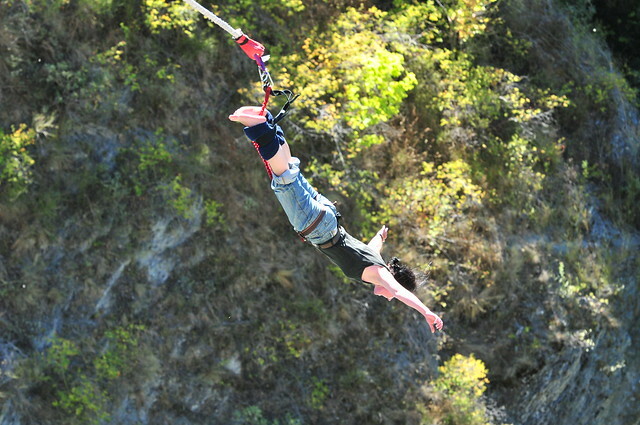 Some favourite spots for incredible bungee jumps include Queenstown, Lake Taupo, and Auckland. Want to enjoy amazing birds’ eye views of spectacular landscapes as you fall from the sky towards the earth? Feeling brave? If so, why not have a go at skydiving! There are heaps of places all around New Zealand where you can feel the thrill of jumping from a plane with just a parachute to save you! Some of the best places for skydiving in New Zealand include the Fox Glacier, Taupo, Lake Wanaka, and the Abel Tasman National Park. Make sure you keep your eye wide open to soak up the beauty all around! New Zealand offers world-class skiing – snowboarders will also be happy too! There are slopes that are suitable for various levels of skier. There are plenty of ski schools too, so beginners can rest assured that they will be able to join in the fun as well. Whilst there are some ski lifts that you can reach by land, heliskiing is big business in New Zealand. You are taken by helicopter to reach the powdery snowy slopes. The views are likely to take your breath away! Most major resorts also have a good après ski scene too, leaving you lots to do at the end of the day and in your down time. Some of the most glorious skiing opportunities can be found at The Remarkables, the glistening Tasman Glacier, Mount Hutt, Mount Cook, Tekapu, Cardrona, and Coronet Peak. 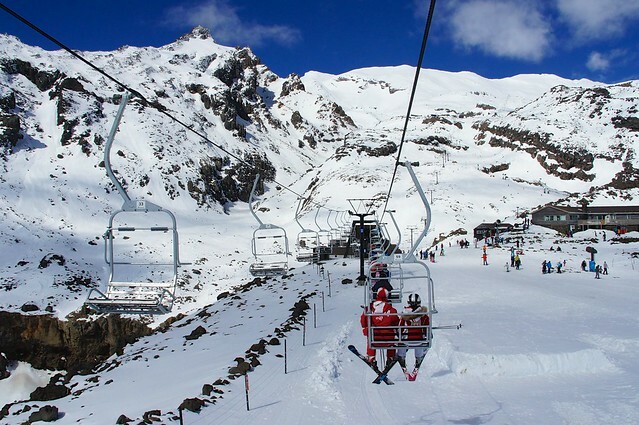 Skiing in New Zealand is sure to be an experience that you won’t forget! 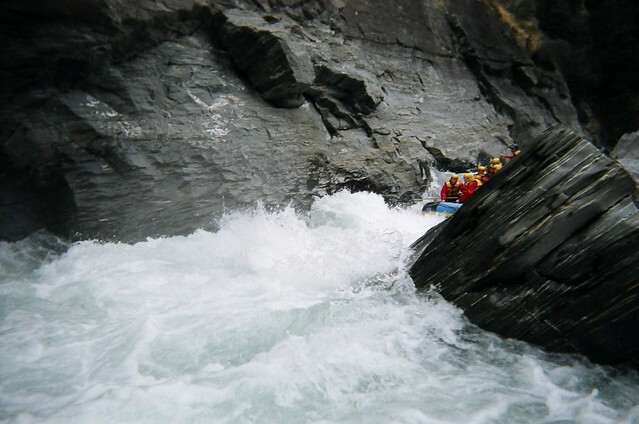 Whilst there are plenty of places where you can enjoy some exhilarating white water rafting, why not take it that one step further and try black water rafting? The pace may a bit slower but you go into dark caves, so it’s perhaps even more of a thrill! Caving in New Zealand requires a combination of abilities, such as climbing (both up and down), rappelling, abseiling, scrambling, and hiking. There are several different caves around the country that are renowned, but the most well-known and popular destination is the caves at Waitomo. As well as exploring a dark inner world of caverns, chambers, and tunnels, you can also marvel at weird and wonderful rock formations that have taken hundreds and hundreds of years to form. These caves are also famous for their many glow worms that cast an eerie light inside the darkness. Be a daredevil and try some of these extreme sports on your New Zealand vacation – you won’t regret it! 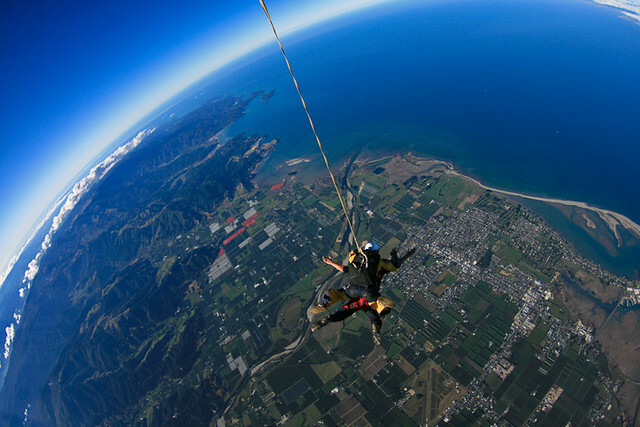 Skydiving in NZ is on my list! I’m going to save my first jump until I’m doing it outside of Wellington!